White gold color. 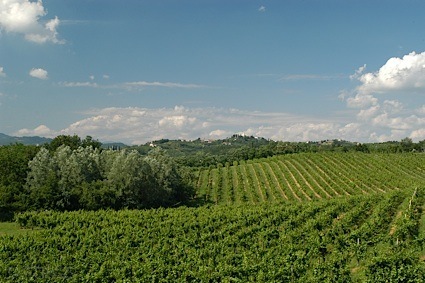 Fruity aromas of peppered melon, peach sorbet, pistachio nougat, and alfalfa and orchid arrangement with a silky, bright, fruity light-to-medium body and an effortless, interesting, medium-long clementine and apple relish and green apple and watermelon candies finish with no oak flavor. A rock solid riesling sipper. Bottom Line: A rock solid riesling sipper. 87 • Wagner Vineyards 2015 Rosé, Estate Grown & Bottled, Finger Lakes 12.7% (USA) $14.99. 84 • Wagner Vineyards 2015 Unoaked, Estate Grown & Bottled, Chardonnay, Finger Lakes 12.8% (USA) $11.99. 93 • Wagner Vineyards 2014 Estate Grown & Bottled, Caywood East Vineyard, Riesling, Finger Lakes 12.3% (USA) $17.99. 87 • Wagner Vineyards 2014 Estate Grown & Bottled, Dry, Wagner Vineyards, Riesling, Finger Lakes 12.1% (USA) $14.99. 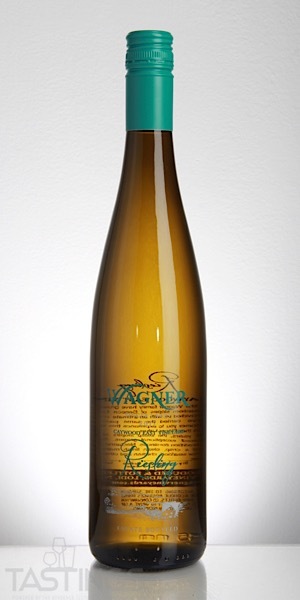 87 • Wagner Vineyards 2013 Estate Grown & Bottled, Semi-Dry, Wagner Vineyards, Riesling, Finger Lakes 11.7% (USA) $12.99. 88 • Wagner Vineyards 2013 Estate Grown & Bottled, Select, Riesling select, Finger Lakes 11.4% (USA) $12.99. 84 • Wagner Vineyards 2013 Estate Grown & Bottled, Wagner Vineyards, Gewurztraminer, Finger Lakes 11.7% (USA) $12.99. 89 • Wagner Vineyards 2013 "Fathom 107" Estate Grown & Bottled, Wagner Vineyards, Finger Lakes 12% (USA) $19.99. 88 • Wagner Vineyards 2016 Estate Bottled Dry, Riesling, Finger Lakes 12.9% (USA) $14.99. 87 • Wagner Vineyards 2016 Estate Bottled Semi Dry, Riesling, Finger Lakes 12.5% (USA) $14.99. 89 • Wagner Vineyards 2016 Estate Bottled Select, Riesling, Finger Lakes 12.4% (USA) $14.99. 87 • Wagner Vineyards 2017 Caywood East Vineyards Estate Bottled, Riesling, Finger Lakes 12.3% (USA) $17.99. 91 • Wagner Vineyards 2017 Estate Bottled Dry, Riesling, Finger Lakes 12.3% (USA) $14.99. 89 • Wagner Vineyards 2017 Estate Bottled Semi-Dry, Riesling, Finger Lakes 12.5% (USA) $14.99. 85 • Wagner Vineyards 2017 Estate Bottled Select Off-Dry, Riesling, Finger Lakes 12.5% (USA) $14.99. 93 • Wagner Vineyards 2017 Estate Bottled Ice Wine, Riesling, Finger Lakes 12.9% (USA) $24.99. 87 • Wagner Vineyards 2017 Estate Bottled Unoaked, Chardonnay, Finger Lakes 12.5% (USA) $12.99. 86 • Wagner Vineyards 2017 Estate Bottled Dry Rosé, Cabernet Franc, Finger Lakes 12.7% (USA) $14.99. 90 • Wagner Vineyards 2016 Reserve, Pinot Noir, Finger Lakes 12.3% (USA) $24.99. Wagner Vineyards 2017 Caywood East Vineyards Estate Bottled, Riesling, Finger Lakes rating was calculated by tastings.com to be 87 points out of 100 on 1/7/2019. Please note that MSRP may have changed since the date of our review.